The theatre veteran from Hyderabad is the first Indian playwright-actor-director to be invited to perform at Oxford University. “It’s a rare honour to be invited by Oxford University to perform a play written by you and co-authored by your wife. For the Qadir Ali Baig Theatre Foundation, it’s an absolute honour to perform on a stage where renowned professionals like the Shakespeare Theatre Company and Globe Theatre have held workshops and plays,” says Mohammad Ali Baig, the first Indian playwright-actor-director to be invited to perform at the university. “I believe it’s a feather in the cap for Hyderabad to take its local theatre to global venues,” he adds. Referred to as the ‘Master of Revival’ and ‘Sultan of Epics’ by Indian media and ‘Global Face of Indian Theatre’ by the international press, Mohammad Ali Baig is the son of the late theatre legend Qadir Ali Baig. 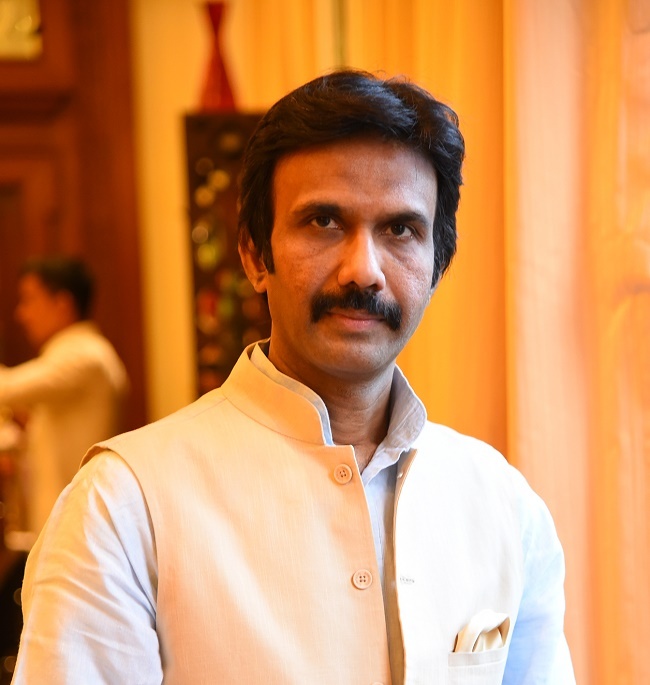 The highest paid theatre actor in the country, he is also the youngest Padma Shri recipient in the field. The Qadir Ali Baig Theatre Foundation will be performing the play Dilon-ka-Shehzada, a play on the founder of the city of Hyderabad, at Oxford from November 16-18. 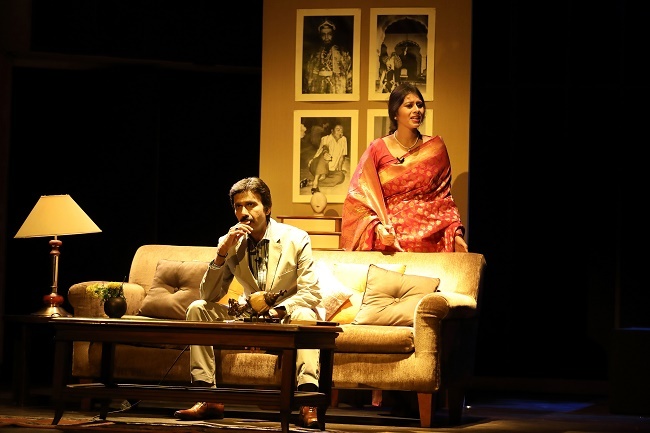 “Dilon-ka-Shehzada is based on the love story of Mohammad Quli Qutub Shah, it’s a play that I have contemporised to suit the taste of modern audiences. It’s co-written by my wife. I have attempted to contemporise history and heritage through this play,” Baig says. He will also be showcasing Under the Oak Tree, a play based on his childhood recollections of being born into theatre, the burden of his father’s legacy, his foray into the world of advertisement and eventual return to stage. When asked what makes theatre relevant in the era of Netflix and YouTube, Baig says that it’s a myth that plays aren’t as entertaining as mainstream commercial sources of entertainment. He asserts that the onus of reviving theatre lies solely on the shoulders of theatre artists. “A lot of professionalism and vibrancy has to come into theatre performances. When I perform at Golconda or Chowmahalla Palace, around 1,200-1,500 people belonging to almost four generations turn up. I perform to entertain audiences and not to satisfy my own creative urges. You can’t be presenting things that are over the top, are not relevant and put off the audience in the name of freedom of expression. This is the reason why even the handful of theatre audiences are diminishing. Without audience, there is no theatre,” Baig says. While cinema and theatre have an equal number of talented actors, theatre is fading from the entertainment scene despite the gamut of talent it possesses. “Rock music has a niche audience, Jazz has a niche audience and even Bollywood too. Bollywood is the cheapest available form of recreation for people. It’s the stars and cricketers that have the maximum following. If plays have a mix of aesthetics of content, presentation of techniques, there is no reason for people to shy away from theatre. It is an evolved taste. It is definitely not an alternative to cinema or cricket. Theatre is theatre. Period,” Baig opines. Baig further says that the artists of this generation need to contemporise theatre because classics, while they hold their own significance, may not interest the audience anymore. “Imagine Sunil Gavaskar in the field with his white flannels or Indian pace bowlers with their paunche in today's times of IPL and fitness freakiness. Time changes… drastically. You cannot stick to the classics of the 90s and ask your audience to enjoy the same just because you cannot bear to think beyond the playwright. Playwrights need to contemporise. Playwrights need to see the need of the hour but shouldn’t produce trash in the name of modern theatre. You need to have the gall of converting art into commerce. Going commercial isn’t a sin,” Baig explains. When asked how he has contemporised Dilon-ka-Shehzada, a play that is set centuries ago, Baig says that it’s a story of two individuals from different cultures, a love story of mutually respecting artists, each with their own vices and virtues. “Dilon-ka-Shehzada is the love story between the sultan, Quli Qutub Shah, and dancer Bhagmati, a non-royal. Quli and Bhagmati could be Rahul and Priyanka in Delhi or they could be Harry and Julie in London. What makes the play relevant is its universality,” Baig says. Baig has been enacting this slice from history even as there has been a heated debate in the state on renaming Hyderabad to Bhagmati. Bhagmati is said to have converted to Islam after marrying Quli Qutub Shah, after which she took the name of Hyder Mahal. Having collaborated with French and Polish theatre stalwarts and having been exposed to Israeli and Turkish theatre, Baig laments that in India theatre has never been considered a profession.